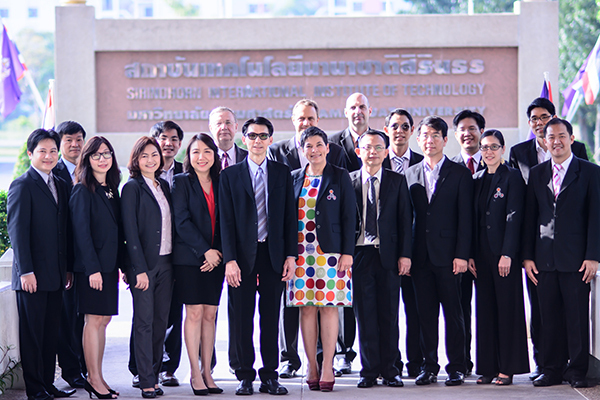 Sirindhorn International Institute of Technology (SIIT), consisting of five academic schools and the Department of Common and Graduate Studies, offers undergraduate and graduate programs (master and doctoral levels) leading to the Bachelor of Engineering (B.Eng. ), Bachelor of Science (B.Sc. ), Master of Engineering (M.Eng. ), Master of Science (M.Sc. ), and Doctor of Philosophy (Ph.D.). The bachelor’s degree is offered in the following areas: chemical engineering (ChE), civil engineering (CE), computer engineering (CPE), digital engineering (DE), electrical engineering (EE), engineering management (EM), industrial engineering and logistics systems (IE), management technology (MT), and mechanical engineering (ME).